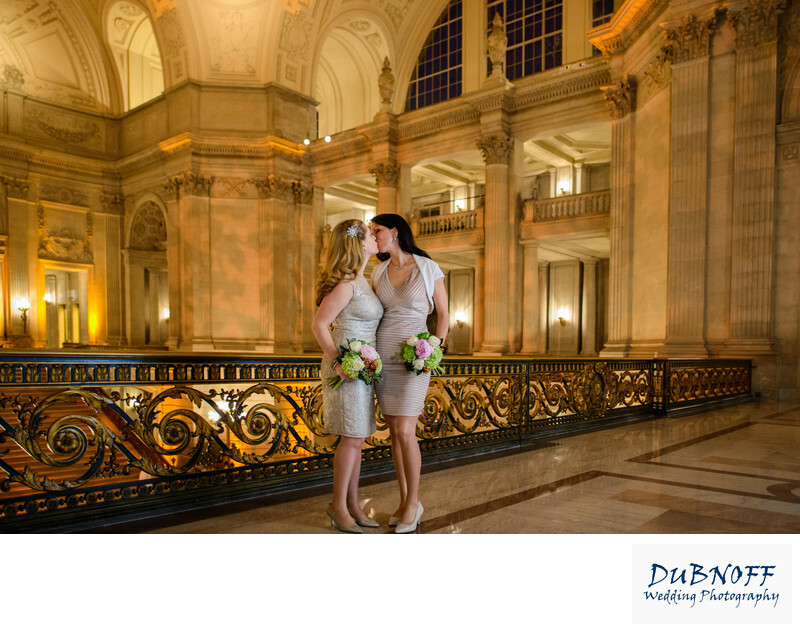 These beautiful LGBTQ brides chose a late ceremony time in the winter to hold their San Francisco city hall wedding. Darkness outside changes the wholes dynamic of city hall wedding pictures. We used professional off-camera lighting to make this beautiful shot on the Mayors Balcony overlooking the Rutunda and North Facing windows. It is rare that you see a photo in this building with black windows in the background. It changes the whole mood of the wedding photo. I also love how the Christmas tree design is projected on the walls. This was an added bonus for this San Francisco wedding.